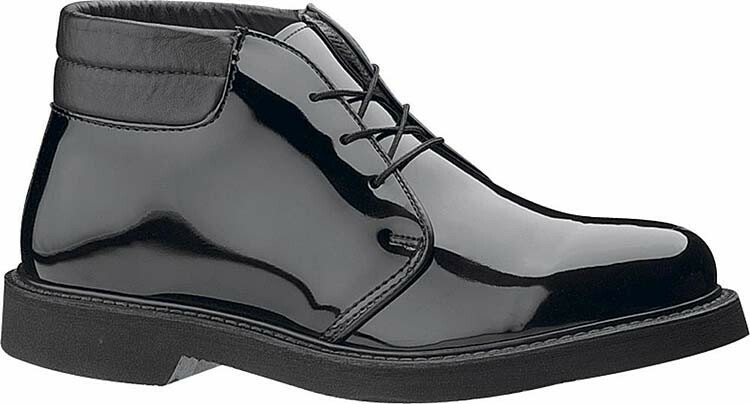 Someone is counting on you everyday and you will be sure to be at your best when you're wearing this Bates Lites padded collar uniform chukka. Featuring a high gloss upper with an oil/slip resistant polyurethane outsole to give you traction on slippery surfaces. Goodyear welt construction delivers durability while a removable full cushion dual density polymer footbed and Cambrelle lining deliver added comfort and breathability.